Many children are extra-sensitive to the texture and feel of clothing. 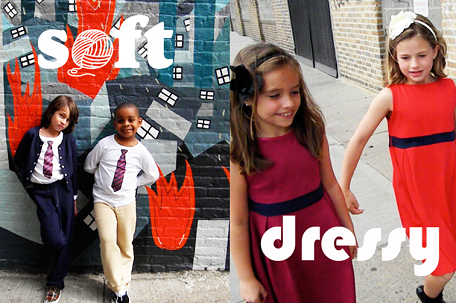 Soft® is the first line of inclusive clothing designed with the needs of all children in mind, . We use flat seaming and seamless construction for extra comfort, 100% of the softest combed cotton and our specially developed Soft Sensory Blends , wide collars, encased elastic waistbands, printed labels (tagless), custom fits, and much more. I know that I'm not the only one with a picky child. Often, children can be very particular about the comfort and style of their clothing (rightfully so, I'm fairly particular about my wardrobe as well). When it comes to great prints and styles, the Soft Spring clothing line is sure to be a crowd pleaser! 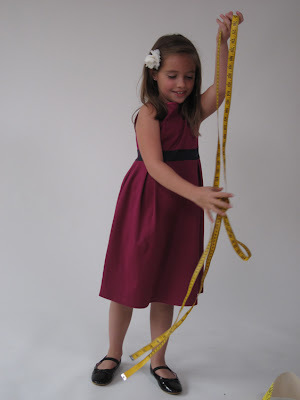 Comprised of great printed tee's, pretty dresses and more the princess was more than thrilled to take the Soft Party Dress in Raspberry (Pictured Above) for a twirl! Without seems, and a generous neckline the design of the dress and combed cotton allows for maximum comfort without sacrificing on style! The princess adores this adorable little dress, and asks to wear it frequently (which is the best compliment she can give!). When shopping for your little ones this Spring, check out Soft® Clothing's adorable comfortable styles, I'm confident, you'll be just as impressed as we are!